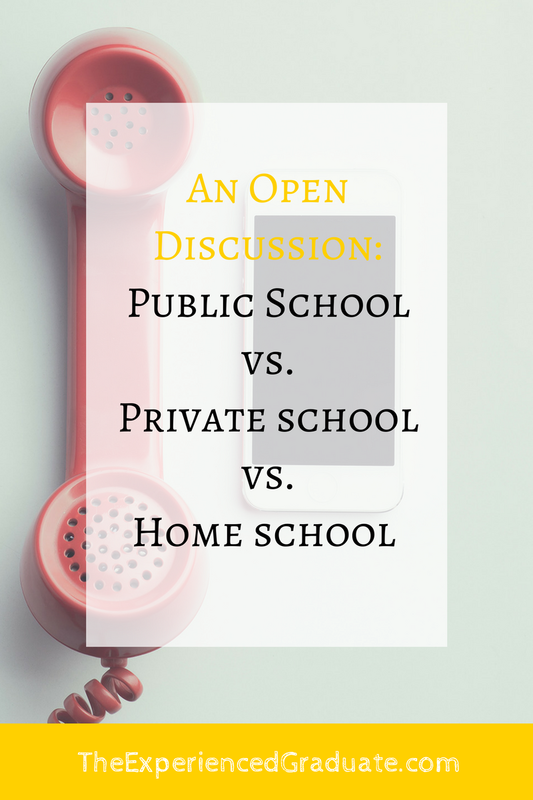 Every parent must face the difficult decision of whether to send their kids to public or private school, or to attempt to home school. I am finding this decision to be more difficult than I thought. But as my own little ones are beginning to enter preschool age, I am now left questioning which education is best for my family. Even though I am homeschooling my daughters preschool right now, there is a huge difference between singing the ABC's and homeschooling my child 3 to 5 hours a day. (I'm not sure I'm cut out for it, but I would home school if I thought it was the best decision for my family). Plus my daughter is an extreme extrovert, and flourishes in group settings. Which is funny to me because I am an almost-extreme introvert. So I am trying to weigh all the options of which is best for her. As a tutor, I have only had experience with tutoring teens in public schools, and have most of my experience in the education system from private and public schools, which is why I write heavily about public school help and support. So what I would like to do is to have an open discussion on the pros and cons of public schooling, private schooling, and home schooling! In the comments below, leave me your best and worst experiences, what you have witnessed, what you have been through, and what you would have changed if you could have. Please note, this is not a place to bash any other parent for their schooling choice. This is only for the edification of myself and other parents. I want to know the good, the bad, and the ugly without rose colored lenses. So please let me know your thoughts! I will be posting the best replies within this article for others to learn. So please leave a long, thought out response. The more information, the better!